Beautiful weekend to you all and welcome to a new round of Macro Flowers Saturday! 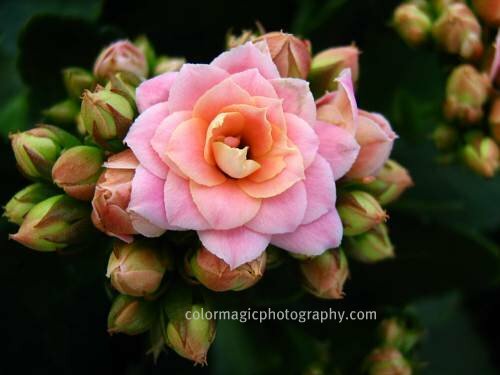 Kalanchoe plants are flowering succulents, most often grown in pots as a brightly-colored houseplant but also beautiful in rock gardens or on the patio. They are native to Madagascar, some to Brazil and certain parts of Asia. Though most of these plants are small, grow to a height of around one meter, some species can be tree-sized with a height of about six meters. One of the most popular species grown today is Kalanchoe Blossfeldiana and its many hybrids. They bloom from late fall till late winter, producing small clusters of brightly-colored flowers, mostly in shades of yellow, red, orange or purple. Like all succulents Kalanchoe plants have a fleshy, evergreen foliage, very ornamental. They are very forgiving plants, they can tolerate drought, in fact it is advised to allow to dry between watering. They are promotional offers in every supermarket at this time of the year, at season end. 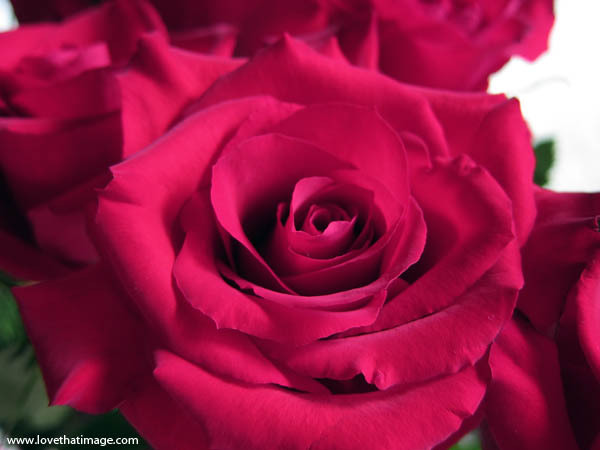 Last week's favorite photo, chosen by you is this gorgeous Red rose from SARA CHAPMAN. Please visit her beautiful blog.! Despite my email reminder, just a few of you came back to vote, you can see the results at last week's list. I'm trying to assemble a special gallery (showcased on Youtube) for the 1st birthday anniversary of MFS (soon). The problem is that I need some bigger photos, at least 640px in width. I tried to visit your past entries to look for pictures but most of them are too small. I would like to ask you to select a picture from your past entries and leave me the photo/page URL in my contact form (not in the comment box), if you accept to participate. Give me your best shot! Click the button to see the MFS #51 list. I love the Kalanchoe. They look like roses but I'm glad that you included a distant shot to give a better perspective. Now they look like perfect bouquets! Well Lui, this costs equivalent of $3 now, it is more expensive in full season, during the winter holidays. What a great shot! These blooms look like tiny roses. I love kalanchoes! The flowers are so pretty, and I wish that they were like annual flowers and would bloom over and over again! I do love the pink kalanchoes...it is the orange ones I do not like. Your pictures captured them beautifully! Oh my gosh, your photos are gorgeous. I love that plant, what a beauty. Co-incidently, I too post photos of Kalanchoe flowers, shot in a nursery just before the Chinese New Year celebrations in early February. Of course your photos are much better than mine! 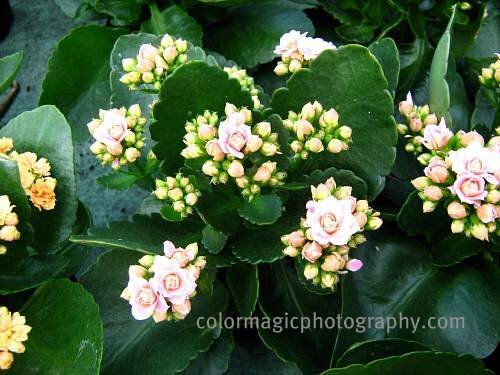 The kalanchoes are plentiful here, sold in pots, and they thrive in our hot climate, blooming all year long. What a gorgeous flower, I don't think I have seen it before. I wonder if it would grow in our climate, I'll check the local nursery. Gorgeous blooms. Love the colours. My first time to see those flowers. Thank you Jama and Footstep for the big pictures. Blogger doesn't resize them, just scales them down to fit in narrow blogs. The original is there when you click on them. You know, this is one of the benefits of macro photography. I never realized that kalanchoes had such exquisite, if tiny, flowers. Beautiful photos. Thanks for voting me winner last week to everyone who voted! That's so exciting! I'll definitely send you some larger photos. Thanks for asking. Re: photos. I give you full permission to get any photos from my collection. I can't go over them because it takes time and I'm on slowband. I will try to post a big and showy one next week for you. (pressure!) Haha! Thank you Lui, it's your permission whet I need. Photos are copyrighted intellectual property, so I'll include only those photos I have permission for. glad to be back on Macro Flower Saturday. Was busy for the past 2 weeks. 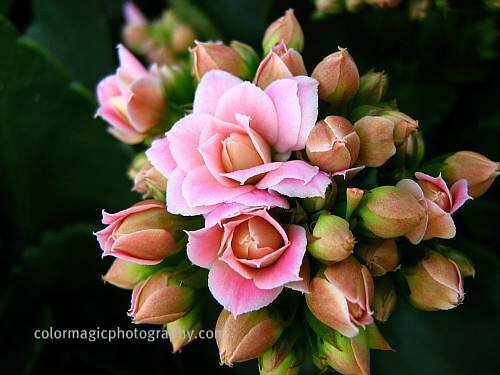 Unusual images for kalanchoe - that's what's great about macro shots.The flowers take on a strange new look. Você citou o Brasil. É verdade, por aqui é muito comum esta flor! Mas a sua é especial! Parecem pequenas rosas delicadas e lindas! You have captured the tiny kalanchoe flowers very well.